PATUXENT RIVER, Md. --- The Tactical Airlift Program Office (PMA-207) Commercial Modifications and Range Support (CMARS) Team accepted delivery of their newest commercial-derivative aircraft platform, July 30. The Gulfstream G550, with structural modifications, was further modified to house specialized telemetry equipment, unique to the Navy’s application. 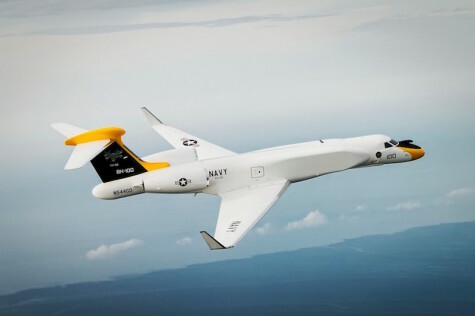 The G550 is slated to serve as the replacement for one of the aging P-3 range support aircraft operated out of NAWCWD in Point Mugu, California. The aircraft’s AEW structural modifications allow room for installation of a telemetry system and additional equipment to support future missions.